After conquering the hearts of all French fans at Japan Expo Paris 2018, BANZAI JAPAN kept on going with their momentum in a series of one-man lives! Not less than four performances were scheduled from October to December 2018, scattered over three different days in three different venues. Titled “Yuitsu Muni”, this one-man live marathon challenged BANZAI JAPAN’s stamina and energy – or did it? Because they never seem to stop dancing and smiling! Bonjour Idol followed them around for all performances: October 8th at aube Shibuya, November 8th at Hatsudai Doors, and their grand finale on December 18th at Shinjuku ReNY. Very long photo gallery below! All of these concerts were staged and built on the same structure. Starting off with a few songs, the core of the show was some kind of survival game to determine who would be the Gods’ Chosen One for the night! The game was composed of four steps. First, a quiz game would skim those who were not worthy of the Gods’ attention! Questions were asked to both the members and the audience. The idols had to guess what would be the fans’ most popular answer. As an example, the fans were asked whether if they liked idols more for their singing or dancing abilities. The second step divided the remaining members in two groups, and had them perform a song of their choice, decided on the spot. As they would not know how many members nor who would be in which group, the dance formation had to be improvised! The Gods then decided which group did best to move on. Different members won for each performance. The night show for October 8th crowned Shimada Rena, while November 8th saw the victory of Nagayama Koma, and the finale winner was Asahi Julia! The show then went on with more regular performances of BANZAI JAPAN’s catchiest songs, in a tornado of colorful kimono-inspired outfits and happy smiles. The fans were thrilled every each and single live, and we could witness how lucky they felt that their favorite group had given them so many events to attend! Unfortunately, two of these lives were also send-offs for two members of the group. Ibaraki Evangelist Araragi Mau made her last appearance as a BANZAI JAPAN member on November 8th, while Tokyo Evangelist Nakano Himawari stood on the Shinjuku ReNY stage for the last time on December 18th. We wish them both a happy and fulfilling life on this next chapter and thank them deeply for the precious memories! 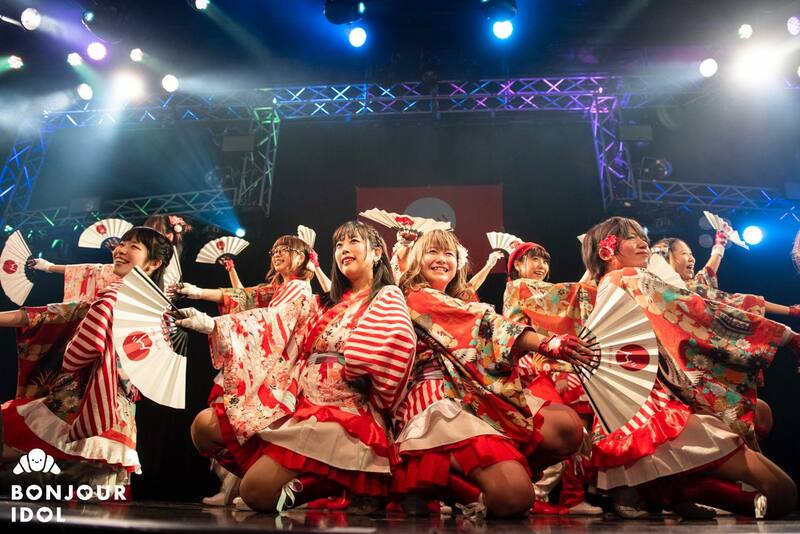 BANZAI JAPAN never ceases to amaze us with their energy and contagious joyfulness. After a successful one-man live marathon, and an appearance at HYPER JAPAN 2018 in London, UK, the Tokyo Candoll winners will take on France again next month! They will be performing for the 10th anniversary of Japan Expo Sud in Marseille between February 22nd and 24th. Go enjoy the warm winters of southern France and don’t miss them!